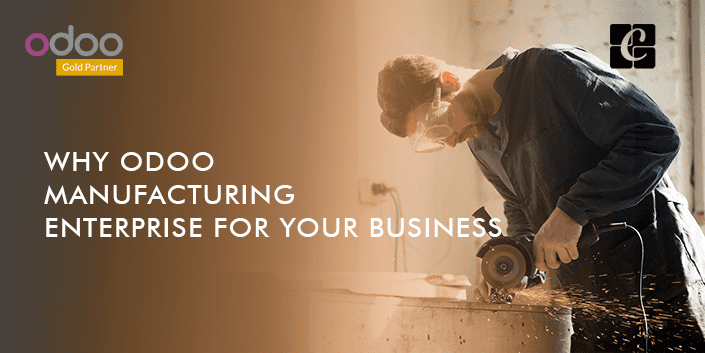 Why odoo manufacturing enterprise for your business? A complete ERP encompasses different modules and integrates every business strata. Odoo comes as an all-inclusive integrated mode of application that efficiently handles every kind of business workflows right from accounting, sales, purchase, inventory, human resource, and manufacturing from a single database. Each module in Odoo showcases their ultimate functionality in handling their respective data and functions. A manufacturing company not only revolves around production or manufacturing processes, it simultaneously handles the various processes such as accounting, sales, purchase, HR. For this reason, Odoo comes as the best application choice to run your business. As Odoo comes with integrated modules such as accounting and finance, Human Relation Management, Sales and Purchase, Customer Relations, it suits well with any kind of industry. Secondly, being an open source application there is no license fee charged for Odoo Community version, making it a cost-effective, time-saving and user-friendly software application. To ensure a profitable and economical production, the manufacturing industry must encompass a proper planning and costing method tool. For any manufacturing industry planning, processing and costing are the basic components. Therefore there has to be an effective and efficient management tool to take care of these components. Production planning is the first and foremost step in manufacturing industry where you schedule the production, ensure the raw materials and equipment availability, also sufficient human resource to meet the timely production. In short, it lays a framework on how the manufacturing unit reaches its production goal in the desired time in a cost-effective or economical manner. With the help of Odoo Manufacturing ERP, manufacturing industries can automate and integrate their every process with regard to planning, costing, processing, resource allocation, work order and work center management, giving complete visibility to the every real-time industrial activities. Odoo Manufacturing ERP assures back better productivity, efficiency and accuracy in the process handling under manufacturing industry. Below is the brief of Odoo Manufacturing features and functions. > Improves the business efficiency via integrating the manufacturing resources. > Helps in better categorizing of data which in turn helps with effective management of products. > Quick processing of actions and end to end management of manufacturing activities. > Utilize all the potential facilities and resources to effectively transition the manufacturing flow on the shop floor. > Manage MTS /MTO to efficiently manage the inventory levels. Odoo assures with efficient manufacturing. Odoo’s automated work order scheduling helps in managing the inventory efficiently than ever before. Odoo Manufacturing Enterprise edition comes as an integrated solution for managing, planning, quality control, operations and maintenance and also traceability of products. For, any modern manufacturing industry, Odoo’s enterprise edition comes as a fully functional solution. It comes integrates with Bill of Materials, Work Center Tablets, Schedulers, Product Lifecycle Management Quality control management as well as Maintenance. In short, a modern manufacturer can avail every function from Odoo manufacturing enterprise. In Odoo MRP, one can plan and create MRP orders. Odoo manufacturing comes with a provision to check the availability of resources such as raw material availability to start the production process helping the end user to plan their future manufacturing order with utmost ease. 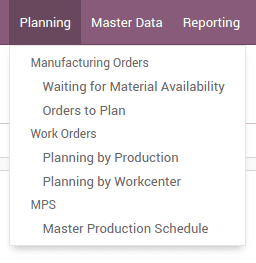 The MPS or Master Production Schedule in Odoo works on Minimum Stock Rules and Make-to-Order for managing their scheduling process. The main purpose of MPS is to efficiently manage the manufacturing order, also triggering the purchase order with respect to the customer demand. It gives complete visibility over the planned inventories with regard to raw materials, a number of the items to be produced, later the finished products etc. The master production scheduling helps in balancing the customer demand with the supply. Odoo uses routes, constraints and lead time for optimizing the inventory level and avoid their shortages. Under Odoo Enterprise MRP, one can seamlessly plan their manufacturing or purchase orders based on forecasts. 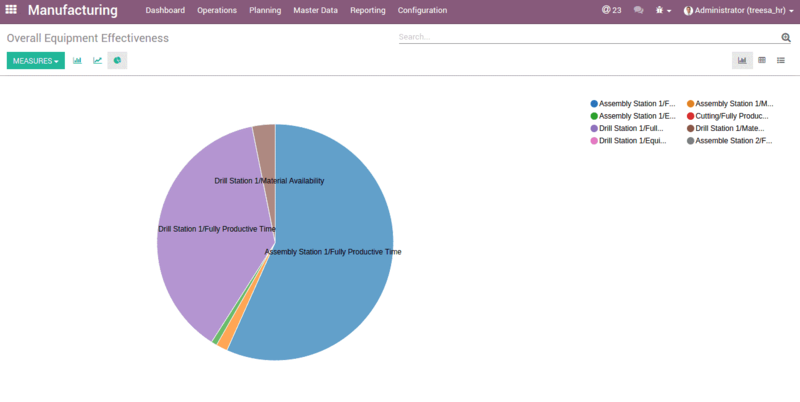 Odoo helps in setting the time rage of Monthly, Weekly or Daily demand forecast for starting the production. Under Master Production Scheduling one can schedule the production over the periods such as months, weeks or days depending on the business. Secondly, Odoo comes with planning by production and planning by work centers which helps in planning the finest manufacturing schedules for the most efficient production. Under the work order and quality, we have many features enabling better planning, the creation of master data for production and also efficient reporting. Both plannings by work center and planning by production provide a Gantt view, which helps in understanding the plans and schedules. The user is embedded with the information of demand forecast, helping the suppliers to produce products in accordance to the demand. Odoo’s Product Life Cycle Management enables better communication across multiple departments. This feature allows the end user to follow the right orders. Under Product Lifecycle Management, the end user can define various types of changes pertaining to the replacement of a particular component or changes in a particular process of manufacturing. Later it helps in simplifying the approvals over the changes via generating multi-level approvals from higher authorities over the revised Bill of material to carry forward with revisions in Make to Order. Secondly, Odoo PLM triggers centralizing communication in real time such as discussions. It comes with integrated document management which helps in passing real-time information to manufacturing with triggered alerts on worksheets or work center control panels, also attaching documents directly to Bill of Materials, routing or other sources. Under Odoo PLM, one can seamlessly and parallel manage the multiple versions of the same BoM and apply only the differences to manage multiple changes. The related workflow with necessary changes is customized here to see which department is allowed to go with the change request. Later a new routing is created and applied for executing the action. In short, Odoo PLM is used for managing the revised Bill of Materials and track the product lifecycle based on Engineering Change Orders. PLM does Bill of Material revisions, Make Order Route revisions and also update work operations based on the revised Bill of Materials. 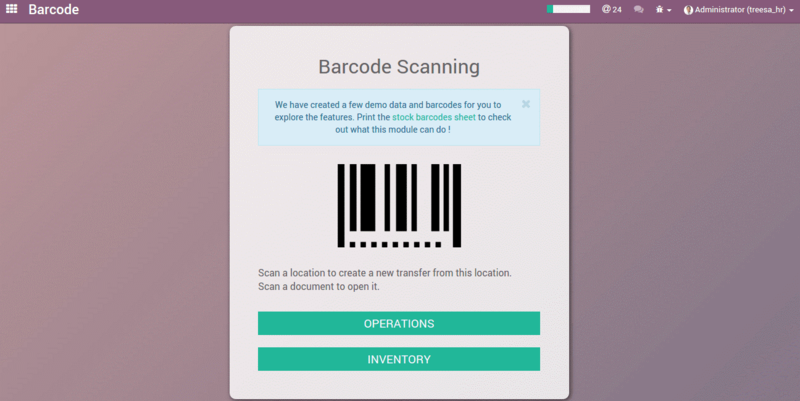 Unlike the traditional barcode feature facility of tracing the products with respect to their serial/lot numbers, Odoo Enterprise’s barcode scanner extends its further support to the management of work orders. It flashes a barcode to start a particular work order, later to pause it or finish it. The extended barcode support thus helps in tracing the efficiency of work order and also timely identifying loss in productivity. Quality control is an enterprise feature of Odoo. The quality alert and quality check at various workflow point ensure that customers are delivered with high quality and supreme products. One can trigger random or periodic check tests here and also attach pertaining documents or photos etc. There are three defining Quality Control points in Odoo- Control Points, Quality Checks and Quality Alerts. The quality checkpoints of Odoo initiates an efficient communication via real-time alert notification to workers. Control Points: Automatically activate quality checks for any manufacturing department in their manufacturing or packing/delivery operations. Quality Checks: Under quality checks, Odoo facilitates for a statistical process control with easy checking. This feature enables an entire quality check process for a warehouse. Quality Alerts: Odoo’s Kanban view of quality alerts provide timely notification to the workforce on the rectification actions. For example, Odoo gives quality alert in the manufacturing unit if there is a case of unmatched requirements. Odoo helps in seeing all quality alerts and also helps in managing the workflow on the quality dashboard. Corrective maintenance in Odoo helps in identifying, isolating, and rectifying the fault of machinery. It helps in the timely restoration of equipment or machines. 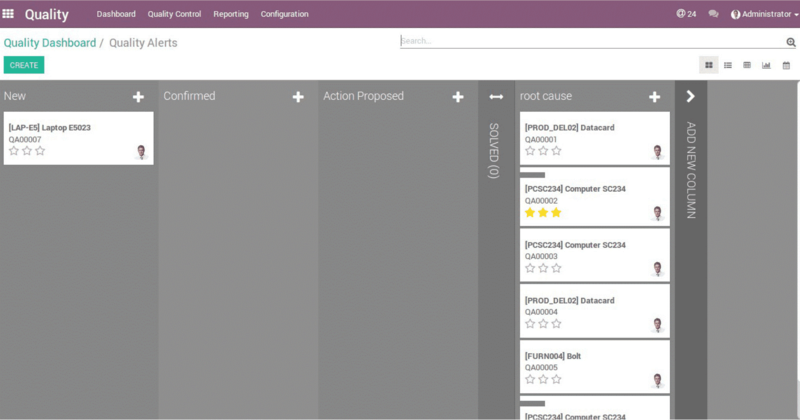 Corrective maintenance is carried out in Odoo after detection of failures. The corrective maintenance missionizes to restore the asset or equipment which performs the same intended job function. On the other hand, preventive maintenance includes preventive measures such as tests, measurements, adjustments or part replacement preventing future faults from happening. With Odoo one can easily organize the maintenance requests, track the maintenance request progress and plan the activities in accordance using the Kanban and calendar views. The easy drag-and-drop interface helps in efficiently organizing the maintenance requests. The Manufacturing Routing and Work Center enables the end user to schedule and records various operational activities in manufacturing. Odoo helps in setting tablets at every work center for efficiently organizing the work. It records every production via registering the scan products, serial numbers and also displays the worksheets directly to WorkCentre. 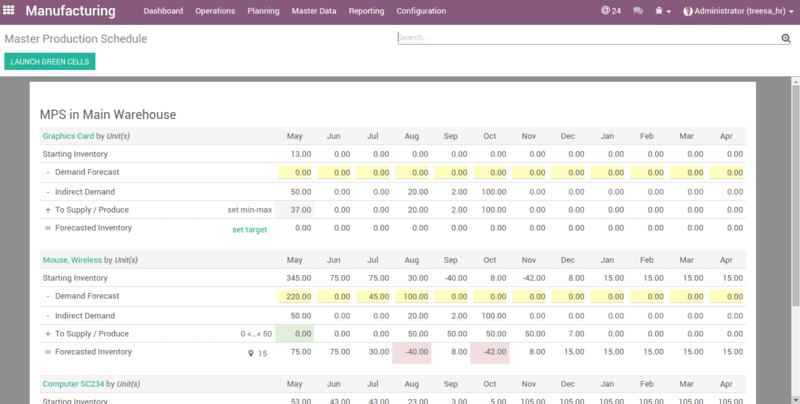 Odoo Enterprising comes with great reporting and performance indicators. Every important and necessary data are left under fingertips for quick and easy access. Odoo’s comes with an Overall Equipment Efficiency reporting system that helps the end user to control their productivity in the most efficient and effective manner. It also comes with Track maintenance KPIs like MTTR and MTBF. Odoo also comes with lively dashboards for easy monitoring of performances that too in real time. With Odoo’s dynamic reports on costing, traceability, performance analysis, OEE helps the end user to make the best and smart decision. As you can see, there are a lot of benefits shared by Odoo manufacturing in their Enterprise Edition. It grants complete visibility on your manufacturing process, their production, quality check, maintenance, and timely reporting. In addition, it allows integration with other additional modules, serving all your business requirements. Cybrosys Technologies is an Odoo service provider with 10 years of Experience. Cybrosys provide Odoo services in both Community and Enterprise editions. If you like to know more on Odoo features and services, kindly drop your message to info@cybrosys.com.